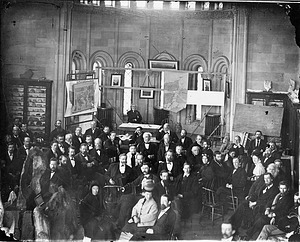 The National Academy of Sciences was established by the United States Congress in March 1863 to "investigate, examine, experiment, and report upon any subject of science or art" when called upon by the government. 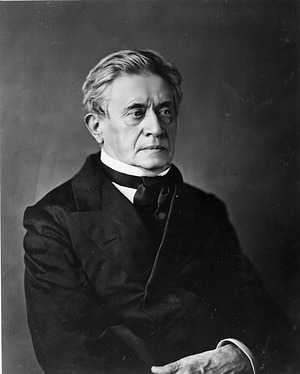 Although first Smithsonian Secretary Joseph Henry was initially opposed to such an organization and disavowed the secretive negotiations that characterized its founding, he would soon come to lead the academy, believing that "if well conducted," it would "produce important results in the way of advancing American science and also in serving the government." Henry's close friend and longtime colleague Alexander Dallas Bache served as the academy's first president, but when he became incapacitated by illness in 1864, Henry took over, and agreed to succeed Bache as president in 1868. Henry served in this position until his death ten years later. In 1837, Henry spent eight months in Europe meeting with colleagues, touring scientific facilities, and attending a meeting of the British Association for the Advancement of Science. Nine months after arriving home, he wrote to Bache that when he first returned to the United States, "the charlatanism of our country struck me" more than ever before, and that he often thought of Bache's remark "that we must put down quackery or quackery will put down science." 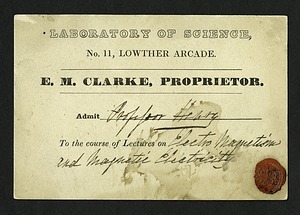 He continued, "I am now more than ever of your opinion that the real working men in the way of science in this country should make common cause and endeavour by every proper means unitedly to raise our scientific character, to make science more respected at home, to increase the facilities of scientific investigations and the inducements to scientific labours. There is a disposition on the part of our government to advance the cause if this were properly directed." However, Henry believed it was not yet possible to establish a respectable American counterpart to the British Association due to the relative lack of competent American scientists at the time.1 "I am convinced," he wrote, "a promiscuous assembly of those who call themselves men of science in this country would only end in our disgrace." Henry also decried the undemocratic nature of the British Association, in which "the great body of the members [had] no voice in the management of the Institution," making it "as aristocratical as the government of the nation." He later wrote, "I have never thought that the Conception of an Academy, borrowed from the Academies of Europe, namely, an institution supported by Government from the public Treasury, could be successful. It has always appeared to me to be incompatible with the spirit of our institutions." The National Academy was initially limited to fifty members chosen by a small group of Henry's colleagues and designated by Congress in its charter.2 Although Henry was later said to have reviewed the list prior to the bill's passage, he claimed to have had nothing to do with it. "An antagonism, such as I feared, has been produced in the minds of those who think themselves ill used in being left out," Henry wrote to his old friend Louis Agassiz of Harvard University, who had helped draft the legislation and get it passed. 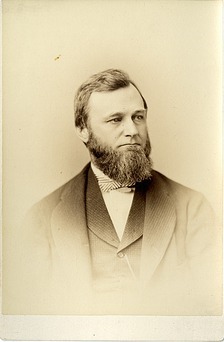 Spencer Fullerton Baird , Henry's Assistant Secretary at the Smithsonian, was one of the scientists left off the list, which was unbalanced in favor of physical scientists. Agassiz saw Baird as a competitor, and considered Baird's work as a naturalist primarily descriptive, and not of a caliber to merit membership in the academy. In a long letter decrying the elitist origins of the academy, Henry explained to Agassiz why he had later defied him in supporting Baird's election. While he shared Agassiz's low opinion of descriptive natural history, he pointed out that "a majority of all the naturalists would have resigned; and a condition of affairs would have been produced deeply to be deplored." 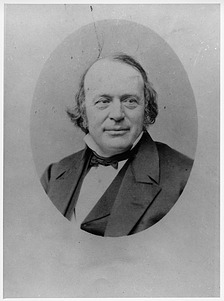 Two years later, Henry wrote to Baird that the academy's choice of Alexander Agassiz, Louis Agassiz's son, as "the new member elected in the class of Natural History" continued to leave the academy open to charges of being an exclusive "affair of Cambridge." Despite his criticisms, Henry recognized the need to shape the National Academy into a successful and respected scientific organization. In his first annual report as the academy's president, Henry wrote, "I mentioned . . . that I had no part in the organization of the Academy but since Congress [had] seen fit to establish an institution of this kind I thought it my duty to give it all the aid and direction in my power," and that he was "far from desiring that it should expire in my arms." Henry urged Congress to appropriate funds to support the attendance at annual meetings in Washington, DC, of the academy's members.3 He recognized, however, that the academy could not rely on federal appropriations and that accepting government money to support its work might compromise its scientific objectivity. "Its existence," Henry wrote, "should in no-wise depend on the fitful appropriations of Congress, which would not fail to be defeated by the adverse report to some favored project of an influential member." Henry also worked to ensure that membership in the academy was awarded only to accomplished scientists. "The basis of an election," he wrote, "must depend upon the discoveries which a man has made in the line of science, connected with a spotless reputation and not upon social position. The number of articles the candidate may have published, not his reputation as a popular teacher, should suffice." In a letter announcing his intention to resign the academy's presidency after completing his first six-year term, Henry wrote that the academy "should be kept up as the only means of preserving the character and supporting the dignity of American science. There is no country in the world in which there is so much mental activity improperly directed in the way of science as ours and in which, consequently, an organized union of all the cultivators of true science is necessary in order to defend it against the encroachments of error and the wiles of Charlatanism." In addition to leading the academy, Henry actively participated in the academy's work, serving on committees charged with investigating scientific questions for the federal government. After paper currency was issued for the first time in 1862, Henry served on a committee to determine how to prevent counterfeiting. He chaired a committee to evaluate whether the United States should adopt the metric system or some other uniform standard for weights, measures, and coinage. Although the committee favored the metric system, it more strongly supported the establishment of some other universal standard of measurement. Henry also chaired a committee to determine a method for measuring the alcohol content of spirits.4 After recommending a specific meter, the committee came under fire in Congress for consisting of scientists (Henry and Julius E. Hilgard of the US Coast Survey) rather than persons with more practical knowledge of machinery and distillation. A California senator remarked that "if I were so placed as to need the invention of some mechanical contrivance for a specific purpose, . . . they would be the very last persons to whom I should go," and that the committee possessed only "half the knowledge upon the question of a meter than an ingenious Yankee or some crotchety [sic] German might have." In his role as president of the National Academy of Sciences, Henry was charged with defining the scientific research of the Polaris Expedition, an attempted journey to the North Pole led by Captain Charles Francis Hall in 1871.5 Henry provided twenty-one pages of instructions contributed by specialists in astronomy, magnetism, geology, and other subjects to Hall and his director of scientific operations, Emil Bessels. Marc Rothenberg, "Joseph Henry: Science Advisor," Smithsonian Institution Archives. Marc Rothenberg, "Joseph Henry: Advocate of Basic Research," Smithsonian Institution Archives.